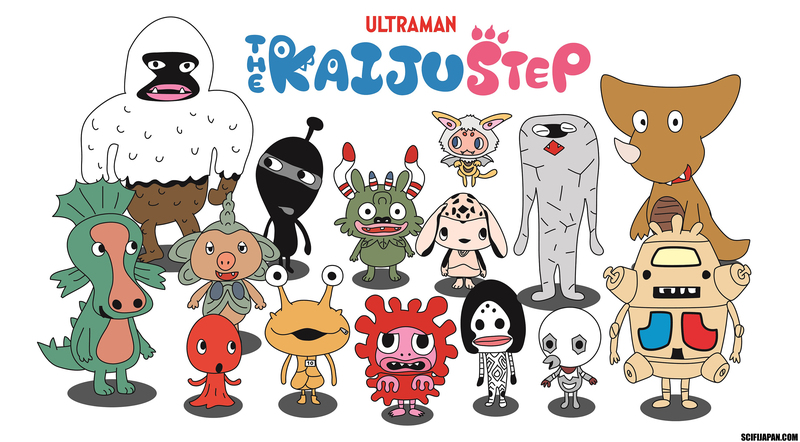 Tsuburaya Productions’ new KAIJU STEP Project reimagines some of the most popular kaiju from the ULTRAMAN series as little kids. Tsuburaya Productions has provided SciFi Japan with information and images for their new Ultraman KAIJU STEP (かいじゅうステップ, Kaijuu Suteppu) Project. The family-friendly campaign is particularly focused on young children, and will include merchandising, anime shorts, live events and more. 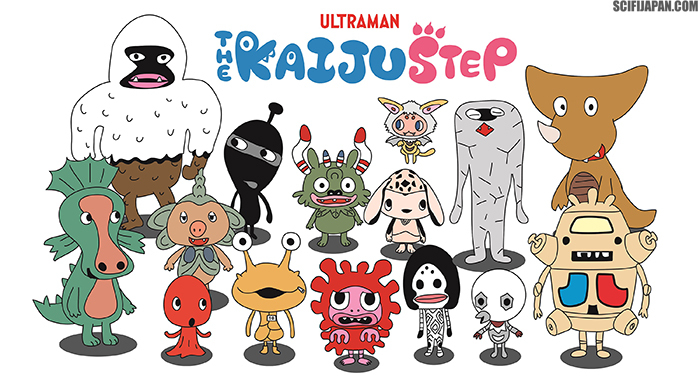 The main characters of KAIJU STEP are the “Little Kaiju” (ちいさなかいじゅう, Chiisana Kaijuu), based on the monsters and aliens of the ULTRAMAN series, who are popular along with the Ultra Heroes. 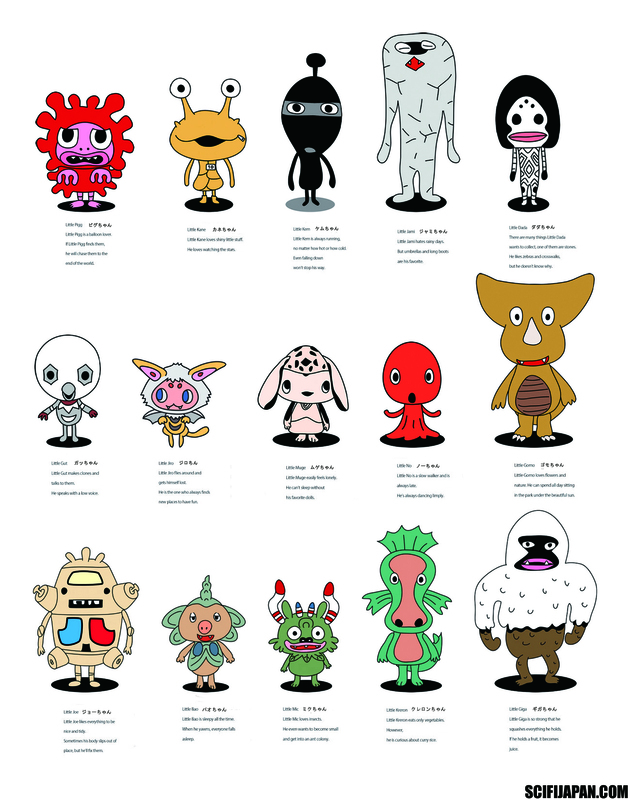 Over the decades, the creatures have become more than just enemies defeated by the heroes; each has their own special powers, looks, and characteristics which make them all unique. 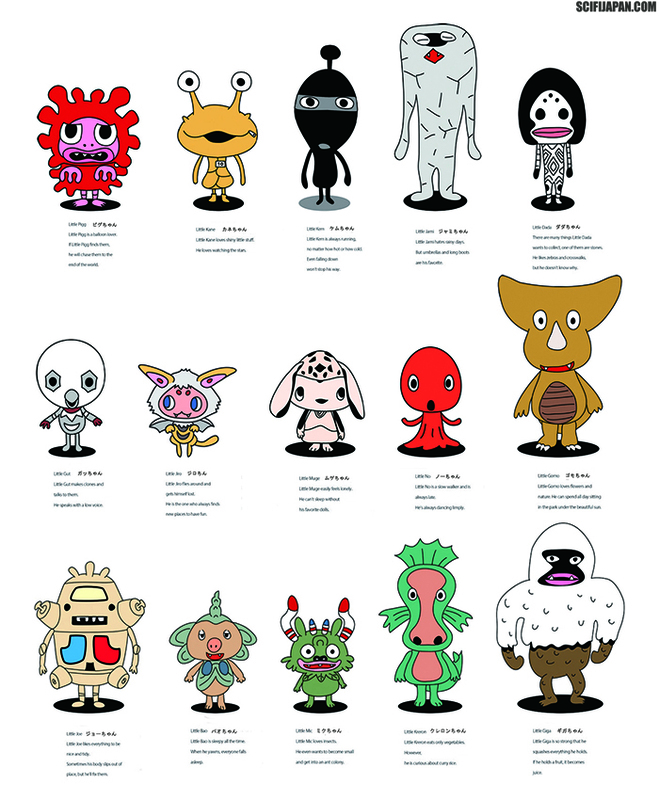 With KAIJU STEP, some of the most popular kaiju from the ULTRAMAN series have been redesigned as though they are little kids. The story is set on the “little planet” where the unique Little Kaiju try new things, meet new friends and portray each of their little “first steps” in life. Prior to the official release of KAIJU STEP, the brand was introduced this past September in Mebae (めばえ), an educational magazine for kids and infants. 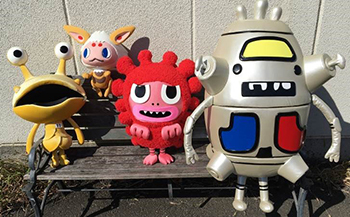 The new series has been loved by both boys and girls, and Tsuburaya Productions has received positive comments from parents, including fathers who enjoy spending time with their children as they figure out the names of the kaiju, and mothers who aren’t familiar with the ULTRAMAN series now drawing the kaiju with their children. On November 1st, KAIJU STEP launched its first picture book, Little Pigg’s Balloon (ピグちゃんのふうせん, Pigu-chan no Fuusen), at bookstores all over Japan. Also, animated shorts debuted on TSUTAYA TV, a streaming service provided by the TSUTAYA bookstore chain. 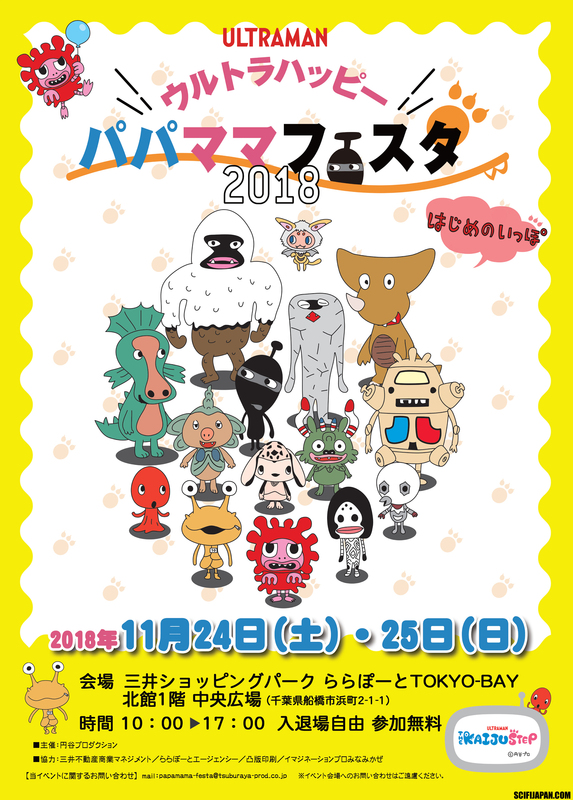 In addition, “ULTRA Happy Papa Mama Festa 2018” (ウルトラハッピーパパママフェスタ2018, Urutora Happii Papa Mama Fesuta 2018), a family event celebrating the birth of KAIJU STEP, will be held at Mitsui Shopping Park LaLaport TOKYO-BAY on November 24th and 25th. Tsuburaya will continue to expand KAIJU STEP with a variety of goods, events, and animation projects for children and families. Just like many human children, the Little Kaiju each have their strengths and weaknesses, likes and dislikes, unique thoughts and appearances. They also hold their own kaiju-like characteristics. More friends of the Little Kaiju will be appearing in the near future. Little Pigg’s Balloon, the first ever picture book from KAIJU STEP, is now on sale! With the positive reaction to KAIJU STEP in Mebae magazine, the first picture book has been released. The book is available now from Japanese bookstores and online retailers. Tsuburaya Productions will be releasing more picture books from the KAIJU STEP series from here on. 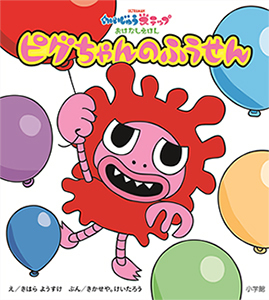 Beginning December 3rd, Little Pigg’s Balloon artist Yosuke Kihara will start a new KAIJU STEP series with his newest drawings on “mamari”, an information media service for mothers. There will be weekly updates throughout the month, with five stories in total. The KAIJU STEP animation shorts are now available in Japan through the TSUTAYA TV streaming service. Two stories — LITTLE PIGG AND DOUGHNUTS (ピグちゃんとドーナツ, Pigu-chan to Doonatsu) and LITTLE DADA’S STRIPES (ダダちゃんのシマシマ, Dada-chan no Shimashima) — have been released, with more episodes to follow in the near future. LITTLE PIGG AND DOUGHNUTS is a story about the doughnut-loving Little Pigg’s first step, and LITTLE DADA’S STRIPES is a story on the stripe-loving Little Dada. ● TSUTAYA TV’s “Movie Unlimited Plan” Monthly Rate: ¥933 (Approximately $8.21 US, Plus Tax), First 30 Days Free. ● Streaming Episodes: LITTLE PIGG AND DOUGHNUTS*, LITTLE DADA’S STRIPES. New Episodes TBA. *LITTLE PIGG AND DOUGHNUTS is also being streamed for free on Tsuburaya Productions’ official YouTube channel, ULTRA CHANNEL. The theme song is “KAIJU STEP Wonderland” (KAIJU STEP ワンダーランド, KAIJU Suteppu Wandaarando) by the popular children’s musical duo, Keropons (ケロポンズ)! Popular among children and parents alike, Keropons makes fun music with action for kids. Yuko Masuda (Kero) and Akiko Hirata (Pon) formed the group in 1999. 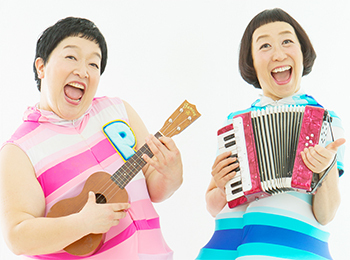 They write music and lyrics, choreograph for children, and have appeared in many parent-child concerts, seminars for kindergarten/preschool teachers. 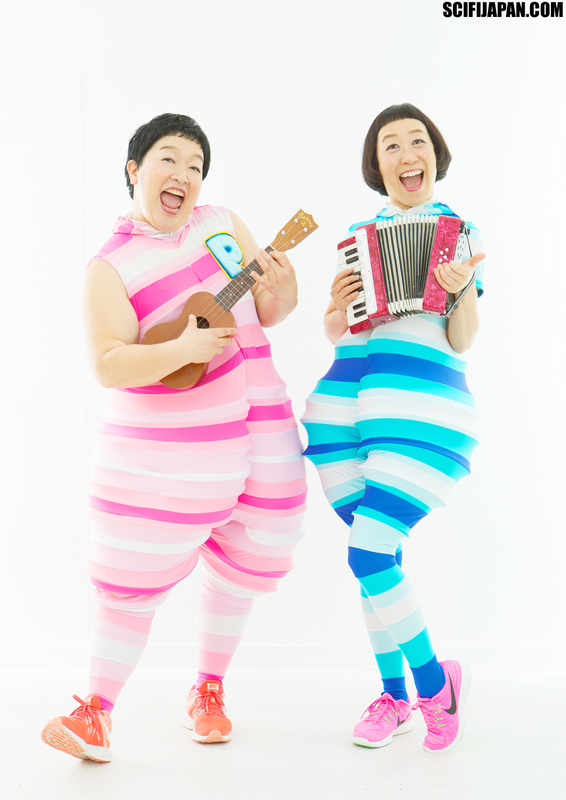 They are very well known for their exercise song “Ebikanikusu” (エビカニクス), which was viewed over 40 million times on Youtube and is now standard song in many kindergartens and preschools. “KAIJU STEP Wonderland” is a fun song with dancing which both parents and kids can enjoy. “ULTRA Happy Papa Mama Festa 2018” is an event that the whole family can enjoy. Planned highlights include the debut of the “KAIJU STEP Wonderland” music video, with dancing on the main stage. There will also be stage shows featuring puppets produced by LSS (Light Sculpture Studio), a modeling department of Tsuburaya Productions that has created costumes and props appearing in the ULTRAMAN series. Event exclusive KAIJU STEP goods will also be available for purchase. “ULTRA Happy Papa Mama Festa 2018” exclusive goods will include a lunch tote bag (¥1,000 + tax) and a small towel (¥700 + tax).